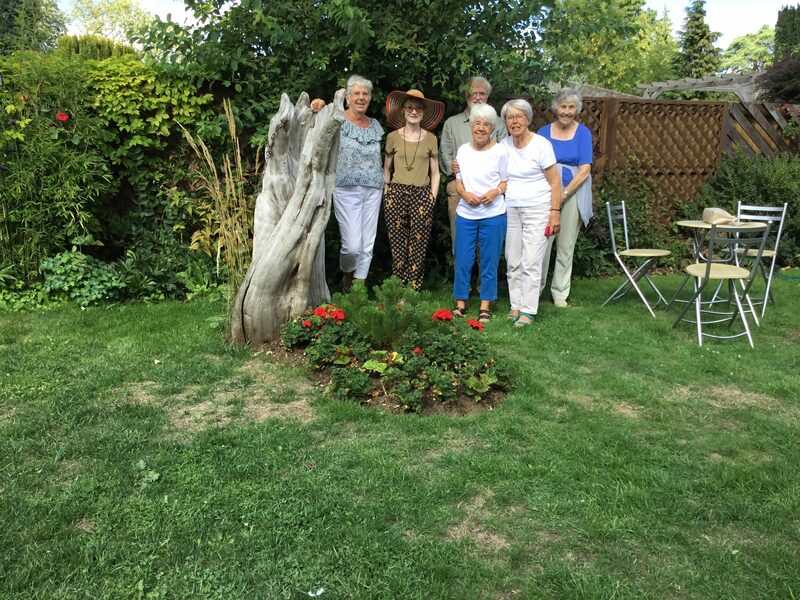 I have had group visits of many sizes to my garden this summer, including this small group from the U3A Sevenoaks garden group who visited last week. All enjoyed the afternoon. Group visits are by arrangement only between 1st July – 31 August 2018. I offer light refreshments and entry into my Art Gallery where prints and greeting cards are on sale. If you would like to book a group visit, then please contact me for further details. 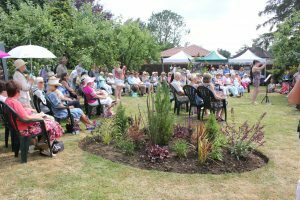 This entry was posted in Group Visits, News and tagged Garden visit, Gardening Group, group visit, National Garden Scheme, Sevenoaks, U3A on August 26, 2018 by fredasgarden2017.